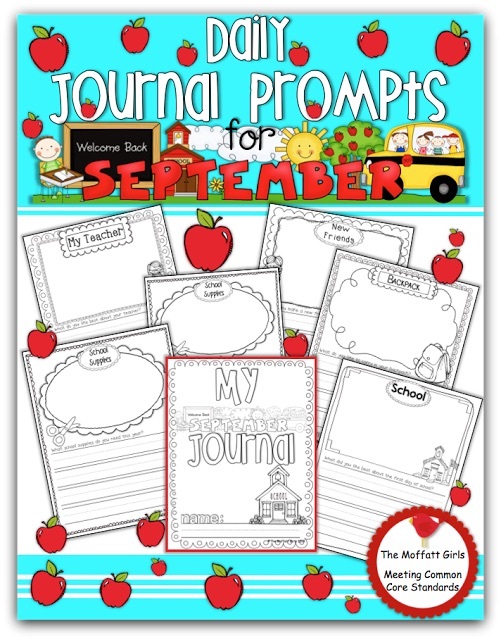 Daily Journal Prompts for September! Our Daily Journal Prompts are such an important part of our writing block. I have been using our Journal prompts to help develop the writing process and create a love for writing. They have helped SO much since we started using them last year! 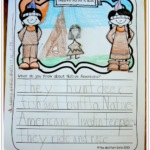 Kids need an opportunity to write on a DAILY basis and this is an perfect way to let them have consistency. 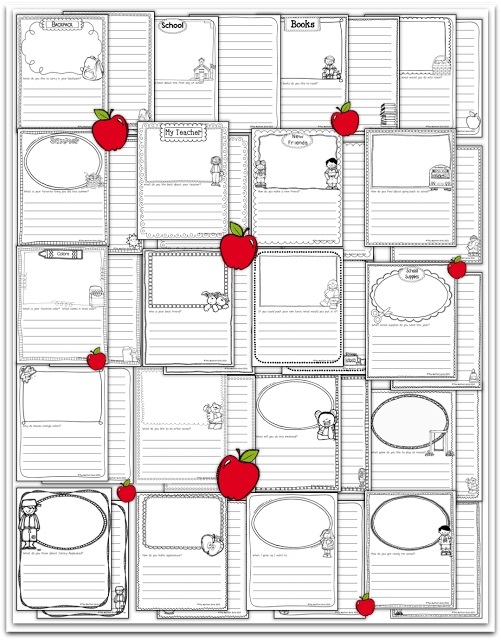 It is easy for me because there is NO PREP…just print and write! Here is our September set all ready to go! I usually just print them and then have them spiral bound so that I have a keepsake of all those precious writing pieces AND I can also see monitor progress. *What did you like best about the first day of school? *What is your favorite thing you did this summer? *What do you like best about your teacher? *How do you make a new friend? 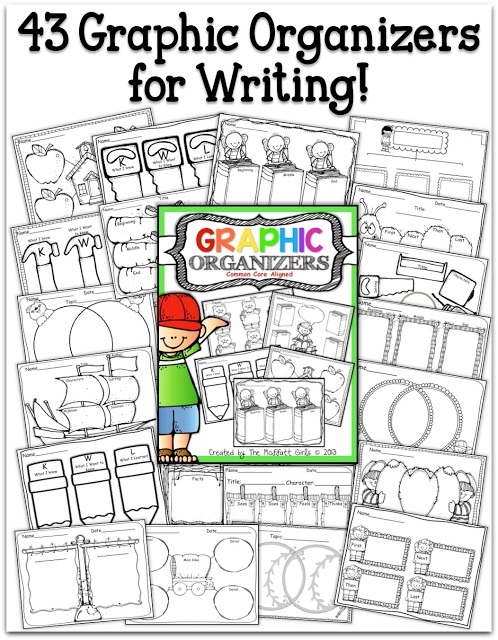 These journal prompts are great for K-2 writers because they have both handwriting and lined papers. I have found that using journal prompts along with Graphic Organizers have really helped to structure and organize our writing. 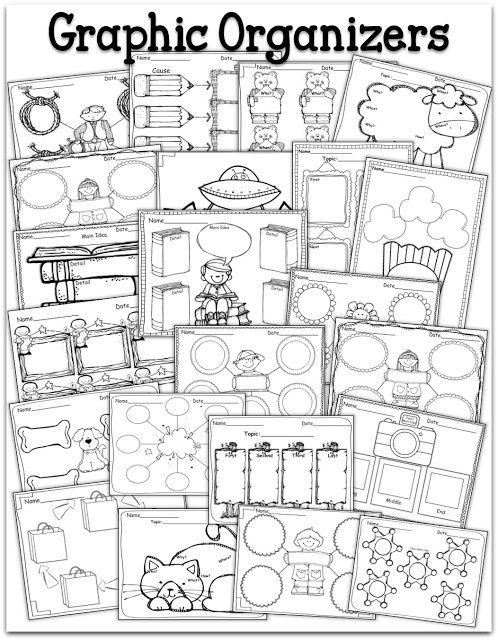 Therefore, I also made some adorable graphic organizers. 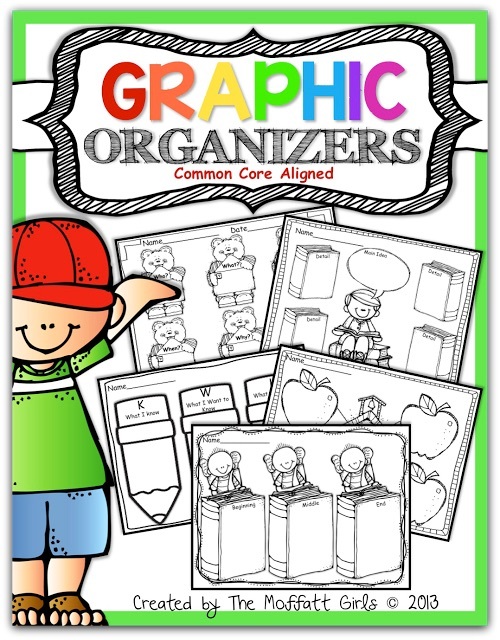 The graphic organizers can be used with any subject and they make writing that much more exciting! I hope these make your life a bit easier this year and your kids more successful! 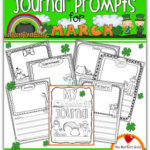 Daily Journal Prompts for March! April Journal Prompts and How We Use Them!